Unclear Communications in Medical Sales – Are You Guilty? Clear communications are essential in any environment. But in medicine, a message that is misunderstood can have dire consequences. Busy professionals often communicate quickly, and at times incompletely. 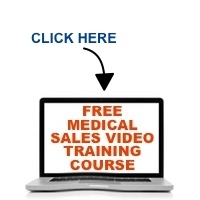 In this episode of the Medical Sales Guru podcast, Mace Horoff discusses the pitfalls of communicating with healthcare professionals and how to avoid misunderstandings that can ruin your career or even land you in court.